Find out what we thought. Find out what we thought. Find out what we thought. 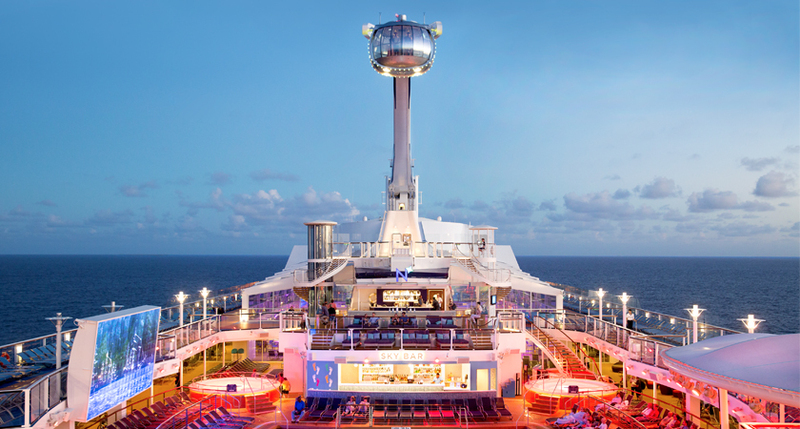 A few weeks ago, Kristof and Charlotte from Cruise Sale Finder stepped aboard the Majestic Princess to find out exactly what this vessel will be bringing to the Australian cruising community. Over the space of a couple days they ranged across the ship, taking in all that the Majestic has to offer. 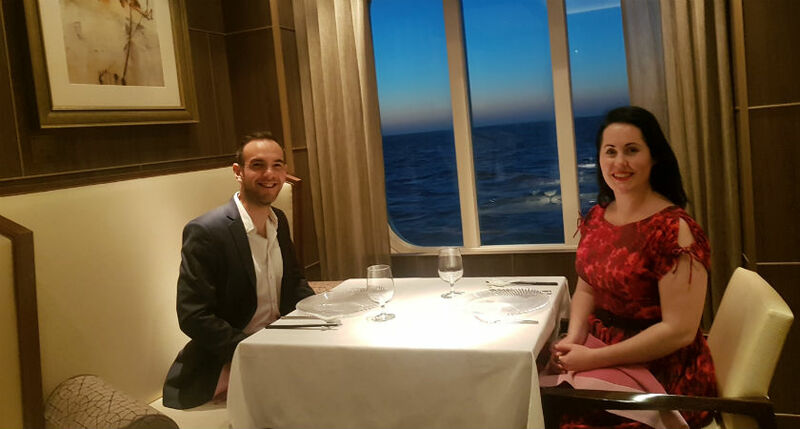 After sampling delicious dishes, attending amazing shows, lazing by the pool and much more, they each decided to write down a few personal impressions of their time aboard the Majestic Princess. Read on to find out what they thought of this beautiful ship newly arrived on the Australia cruise scene. 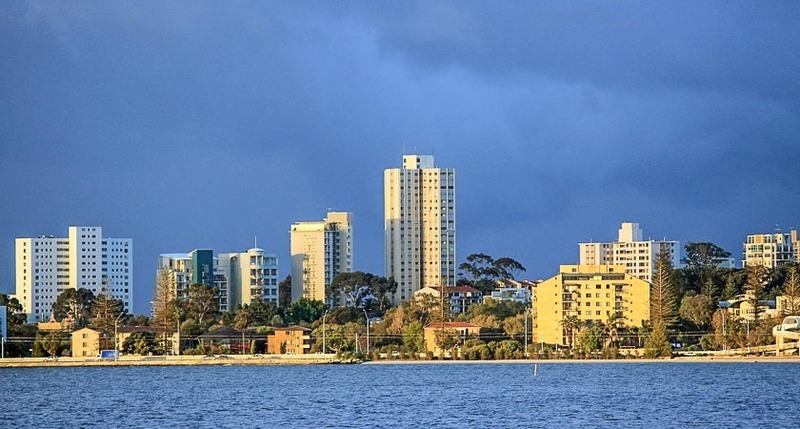 From the moment I saw the Majestic Princess in the distance, as I sat in an Uber winding my way toward Brisbane’s Grain Wharf, I knew that this was going to be no ordinary journey. Straight away it was obvious that Princess’ latest offering was a much larger vessel than the Grand and Sun class Princess ships I’d experienced in the past. But it didn’t take long before I realised that the sheer size of the Majestic Princess was the least of what it had to offer. Walking onboard, my first priority was to dump my bags, unpack and take a moment to unwind in my stateroom. I was lucky enough to be staying in a mini-suite, which is essentially an upsized balcony cabin, so after stowing my stuff away I hauled open the sliding door and sat out on the balcony for a few minutes. If you’ve never booked a balcony stateroom before, I’d highly recommend trying it on your next cruise. Having your very own slice of serenity to watch the waves go by is more than worth the higher price - and the Majestic Princess mini-suite gives you an even larger balcony than usual. Refreshed, I decided to venture out and explore. And by explore I mean find food. I’d heard a little about the World Fresh Marketplace on Deck 16, so that was my first port of call. I went in pretty much expecting to find your bog standard cruise buffet, but instead discovered something quite a bit better. The Marketplace is divided into several different sections based on cuisine types, so you can graze your way around the world in just a few minutes. If I’ve learned one thing from the cruises I’ve been on, it’s not to stuff yourself at the first eatery you come across, so I took a moderately piled plate and retreated to an oceanview table. I appreciated the range of ethnic selections, and have to say that the quality of the food in general was a step above the buffet fare I’ve tried in the past. I was still a little peckish though so popped outside to the pool area and picked up a hotdog and burger at the Lobster Grill - again, it was better than I expected, bursting with flavour. With enough food in my belly to last at least until dinner, I was keen to start in on some actual exploring. I’d heard that the SeaWalk was also on Deck 16, and it didn’t take me long to find it. Stepping out onto the glass floored walkway, I could see the water between my feet, far below. I made a mental note to head back here once we were out to sea, but even in port the view was impressive. It wasn’t long before we were off and away, and dinner time rolled around. Specialty dining could wait for another night - I decided to find out what the main dining venue had in store. The service here was a highlight for sure - the staff were not only helpful, but really charming as well. One of the servers even treated our table to a nifty magic trick, disappearing some cutlery with smiling aplomb. The food wasn’t bad at all, but I wasn’t blown away. The portion sizes were smaller than I expected, and I was quietly pleased that my mid-afternoon snacking at Lobster Grill wasn’t going to come back to bite me. As the evening began to turn late, two main venues kept the party going. Crooners Bar featured a singer/pianist belting out popular tunes, while the centre of the Atrium turned into a dance floor, with a band bringing out all the classics. I spent a bit of time at both, hanging out at Bellini’s bar (roughly halfway between the two) for the remainder of the night. I was hoping to party on into the wee hours, but things sort of fizzled out after 11pm - I was told that this isn’t always the case though; it may have just been down to the people who were aboard my sailing. The next day, having already sampled some of the fare-inclusive cuisine, I decided to kick my culinary adventures into high gear and booked lunch at La Mer and dinner at Harmony - both specialty restaurants with menus designed by Michelin-starred chefs. After a lazy morning spent on the pool deck, I wandered down to Deck 7 to see what La Mer had in store. I wrote a whole article on La Mer and Harmony, so I’ll leave most of the details there, but suffice it to say that I was stunned by the artistry and flavour furnished by this gourmet take on French bistro fare. Entertainment was next on the agenda, so Charlotte and I headed to the Princess Theatre to experience “the most technologically advanced show at sea”, Fantastic Journey. This was a staggeringly elaborate affair, with 180 degree surround video screens, flying drones, massive shifting set pieces, flamboyant costumes and all the coherence of a kindergarten variety show. While it was hard not to be impressed by the technical mastery on display, I did find myself wishing that the wildly differing themes had been tied together into at least some sort of vague storyline. I spent most of the rest of the afternoon sipping cocktails at the Wake View Bar. This was hands down my favourite bar on the Majestic Princess. The combination of its casual, breezy vibe with the stellar sight of the ship’s wake disappearing into the distance gives this venue a distinct edge over the other watering holes onboard, as far as I’m concerned. There’s enough shade to take shelter in if you need it, but on a nice day, standing at the railing with the wind in your hair and a cool drink in hand pretty much sums up cruise perfection. Dinner time had us heading down to Deck 5 to find out what Harmony had in store for us. This specialty restaurant unique to the Majestic Princess takes its inspirations from Cantonese cuisine but gives the traditional recipes a modern twist. Again, you can read our full impressions of Harmony (including my thoughts on the jellyfish dish) in this article, but I really appreciated the bold flavours and generous portions. I could barely finish my red bean crème brûlée dessert but made a special effort because it was damned delicious. All too soon it was time to leave the Majestic Princess behind and head for home. I would have loved an extra few days to soak up all that this vessel has to offer, but I still had more than enough time to see that this is an extraordinary ship. Given half a chance, I’d be back onboard in a heartbeat. When I first saw the Majestic Princess in the distance, I knew I was in for a real treat. The cruise ship was huge, easily the biggest liner I had been on. I couldn't take my eyes off the beautiful ship against the blue skies backdrop. I really felt that ‘wow moment’ before I had even stepped onboard. Brisbane had turned on the weather for our arrival, and the beginning of our weekend cruise couldn’t have been more perfect. Once we arrived onboard and located our mini-suite it was time to dump our luggage and take a breather before we began exploring the ship. Although we hadn’t left the dock yet, we flung open the sliding balcony doors and took a moment to relax and take in the 9th floor views. Honestly, I could never go back to anything less than a balcony cabin. Being able to chill out in your own private space is the best feeling in the world. Next up, exploring! I was a little overwhelmed with the sheer size of the Majestic Princess at first and thought I would get lost on a few different occasions. However, once onboard and after spending a hour or so looking around I felt like I had a good handle on where everything was located. It helped knowing that the carpet was different colours depending on what side of the ship you’re cabin is located on. Good for those of us who get a little disoriented and confused onboard. All that walking had my stomach rumbling so I ended up at The World Fresh Marketplace buffet. I was absolutely blown away by the selection, and how fresh everything looked. In typical Charlotte fashion, I ended up with a plate full of sweet treats pre-dinner (the Pecan Pie was divine). I woke up the next day feeling really refreshed, the luxury Princess beds really are something to write home about and I had no idea how truly comfortable they were. After heading back to the Marketplace buffet for a delicious cooked breakfast we made our Specialty restaurant lunch and dinner bookings for the day. I definitely recommend making your dining reservations as soon as you can to ensure you get a space. You can’t leave the Majestic without experiencing entertainment in the Princess theatre. I loved the staging setup and was excited to see the latest show ‘Fantastic Journey’. I highly recommend grabbing a drink and getting to any of the shows at least 30 minutes early to make sure you get a good seat. My favourite part of ‘Fantastic Journey’ was one of the performers singing a version of Katy Perry’s ‘Rise’ while being surrounded by circling drones. I felt mesmerised! We dined at French inspired eatery La Mer for lunch and I had the most delicious melting tuna, followed by eye fillet cooked to perfection. The service was impeccable and I loved being able to chat with the wait staff about each dish. I hadn’t even felt hungry again, before it was dinner time. We booked at Harmony, a delicious Cantonese restaurant with a 5 course meal. I went out of my comfort zone and tried an interesting dish featuring jellyfish. My curiosity was rewarded as I loved it. 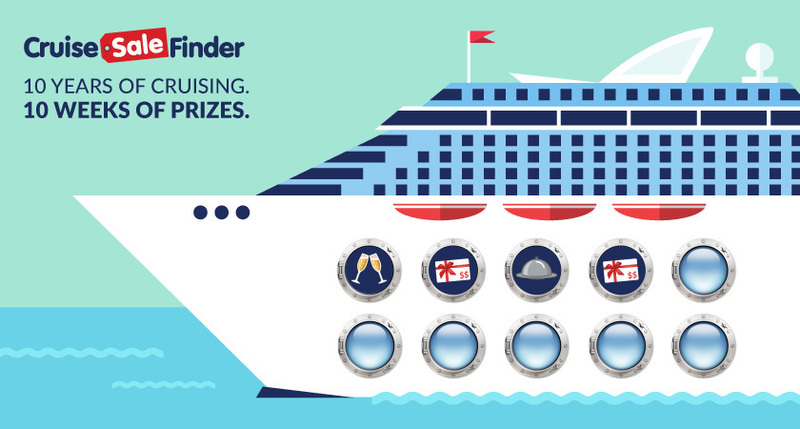 To me, cruising is all about finding time to relax while sampling delicious cuisine, I felt Majestic Princess truly ticked these boxes for me. I can’t wait to get back onboard for a longer cruise to absorb more of what this vessel has to offer. 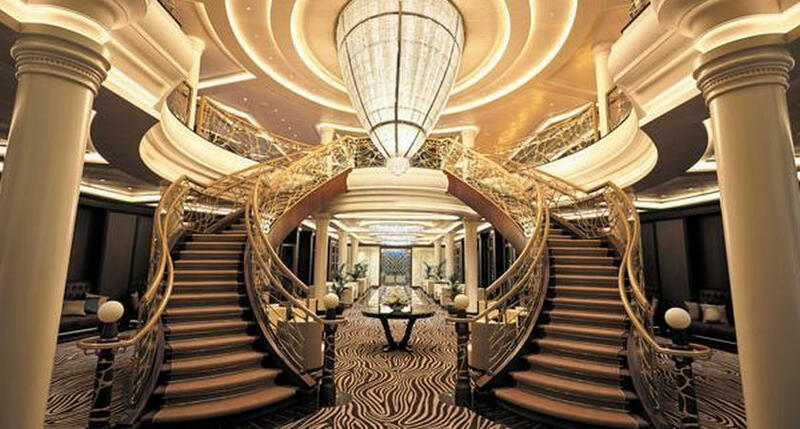 If you’re wanting to cruise onboard the Majestic and experience this ship for yourself then check out the upcoming sailings and book yourself a special getaway.